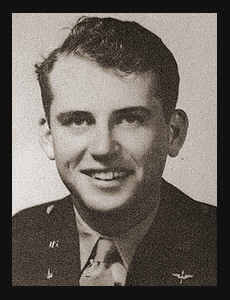 1st Lt. Bob E. Harper, son of Mr. and Mrs. W. R. Harper, graduated from Frederick high School. Entered Air Corps in March, 1943, trained in San Antonio, Pampa, Vernon, Texas, Garden City, Kan., and Columbia, S. C. Served in Guadalcanal, Australia, New Guinea, the Admiralties, the Philippines, Celebes, Borneo and Indo China. Awarded Asiatic Pacific Ribbon with four Battle Stars, Philippine Lib. Ribbon, one Battle Star, Air Medal with Oak Leaf Cluster.